Cardamom is a common spice. It is made from the seeds of plants in the Zingiberaceae family. The cardamom plant is native to India and Indonesia. The seeds are recognized by their small pods. They are spindle-shaped with an outer shell and inner seeds. The outer shell is thin and papery and the seeds are small and black. The two most common pods are Elettaria, which are light green and smaller, and Amomum, which are larger and darker brown. Cardamom is the world's third most expensive spice, after vanilla and saffron. Cardamom is used in flavoring both sweet and savory dishes. Often the pods are used whole. They can be heated in oil to impart flavor and doing so can sometimes cause them to pop open and release the seeds. The seed pods are not edible and should be discarded prior to serving (or just avoided during eating). Ground cardamom is also used in many dishes. It is made by grinding up the seeds. If you have a large number of cardamom seeds to grind, it can be done in a food processor or coffee grinder. First, simply remove the seeds from the shells and grind the seeds. You can also purchase just the seeds (or even purchase ground cardamom). If you only need a small number of seeds ground up, it may be too small an amount to grind using a kitchen gadget. If that's the case, you have a few options. If you have one, this is a time when an old-fashioned mortar and pestle will come in handy. Simply squeeze the pods and remove the seeds. Place them in the mortar (bowl) and begin to grind the seeds with the pestle. Continue grinding until the seeds are ground down to a fine powder and then proceed with your recipe. Another option uses a rolling pin, a more common kitchen implement. If you do not have one, a wine bottle will work well, just use it carefully. Again, remove the seeds from the shells and discard the shells. Put the seeds on a clean, dry, flat surface like a chopping board. Proceed to roll over the seeds to grind them into a fine powder. Another option that works well if you are using the cardamom in a sweeter preparation is to add a teaspoon of granulated sugar to the seeds, prior to grinding. Use the rolling pin to grind the seeds mixed with sugar into a fine powder. The granulated sugar creates the friction that the cardamom seeds would not have had on their own, making for quick work! Keep grinding until you get the powder as fine as you require. Do note that with the sugar method, the ground cardamom will be incorporated into the sugar and it will be impossible to separate the two. 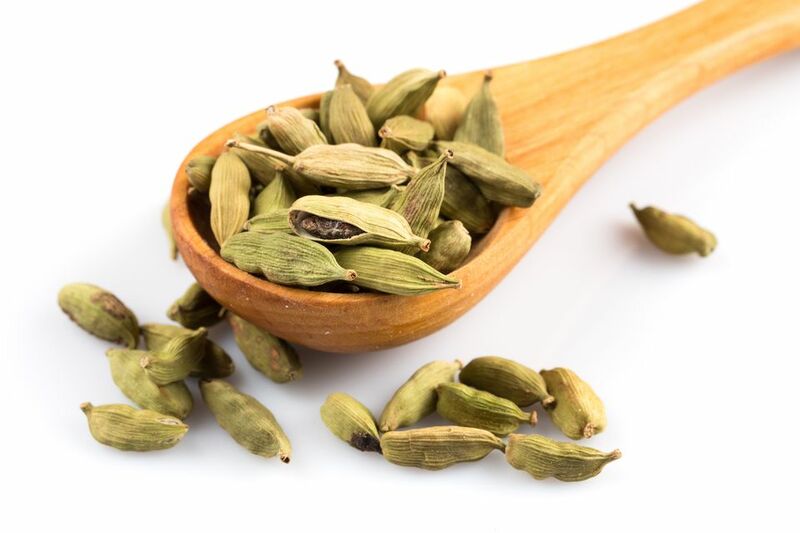 What Is Black Cardamom and How Is It Used?